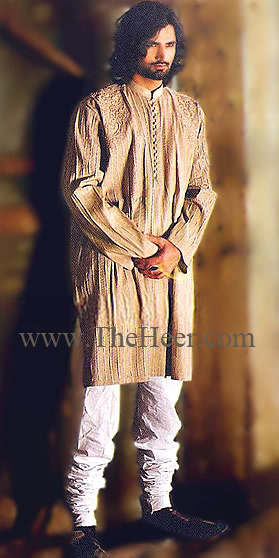 Amazing raw silk kurta in camel color. Embellished front and shoulders. Time to detail throughout. Puff button detail at front. Complimented with white cotton churidar pajamas.Made in Pakistan. Click the button below to add the KT748 Camel Raw Silk Kurta to your wish list.